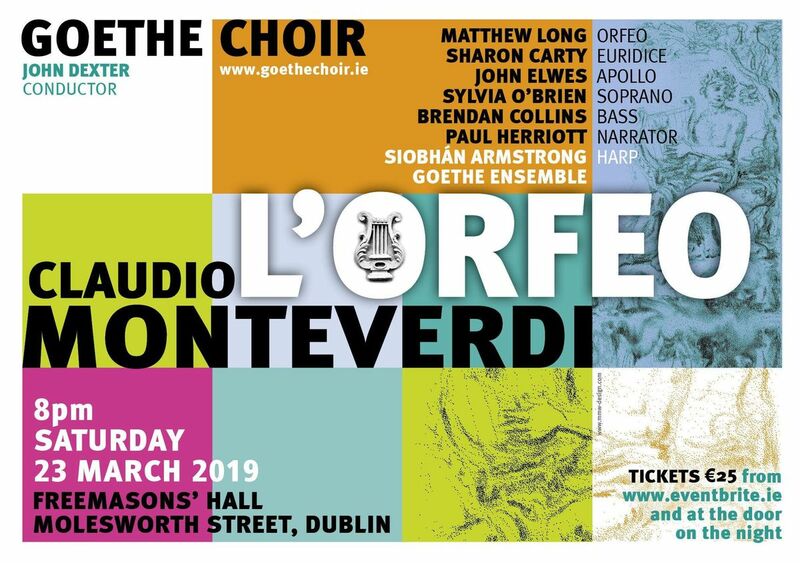 The Goethe Choir (previously the Goethe-Institut Choir) presents a concert performance of Monteverdi’s L’Orfeo at the Freemason’s Hall, Molesworth Street, Dublin 2 on Saturday 23 March, starting at 8pm. 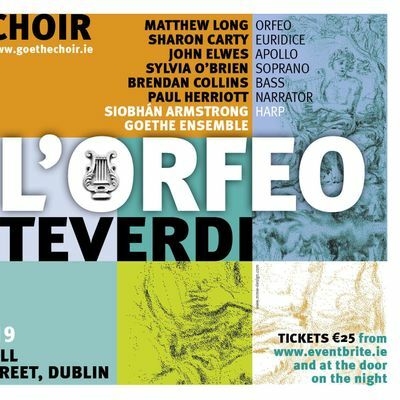 Written in 1607 for a court performance during the annual Carnival at Mantua, L’Orfeo is the earliest surviving opera that is still regularly performed. 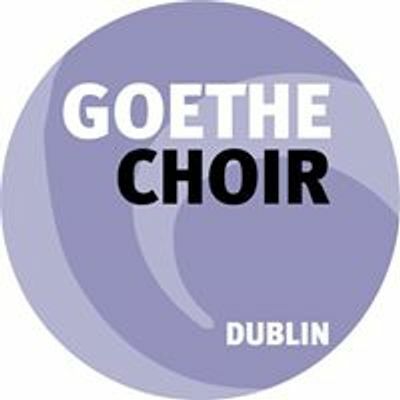 with the Goethe Choir & Goethe Ensemble conducted by John Dexter.